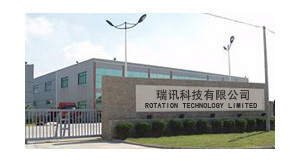 Rotation Technology is a hypostatic and struggling factory specialized in research, development, manufacturing and selling in Car MP3, Car Diagnostic Tools, Vehicle Fuel System Converters, GPS, UMPC, Digital Camera, mobile phone, projector, CCTV Camera & System. The company was established in 1997. As a professional electronic product manufacturer more than 10 years experience, we always pay close attention to the current market demand. On the basis of our market research, we never stop developing the new products to meet the demand of new and competitive market. Now Rotation Technology has more than 50 models available and the new items will be coming out continuously. All of our products can meet international safety standard with CCC, CE and FCC certificates. Powered by a perfect combination of technology and management, our professional engineers keep close watch on the trend of new innovation, concentrate in the research and development of new products, exchange information with our material supplier. Also we are devoted to providing innovative and customized products, based on good services and solutions to create long-term value and potential growth for our customers. Sticking on the principle of "high quality, satisfactory service", we are striving hard to be a good business partner of yours. We are convinced that with joint efforts, the business between us will be developed into our mutual benefit. We can assure you of our high quality and competitive price. Any requirement from you will draw our best attention.